In Brief: We're now a two-time winner of ‘Best Tours’ in the Expat Life Awards. Take a look at a photo of the award! We're now a two-time winner of 'Best Tours' in the Expat Life Awards. We took home an award in 2014, and again in September 2015 - both times heading to the awards ceremony straight from a hike! We're super-happy to receive recognition with an award, as we do work really hard to make the hikes as perfect as possible. Hiking is a fun job, but it's not easy! We'd like to thank everyone who voted: you've been on our hikes and liked them enough to take the time to vote for us, and we really appreciate that. A big thanks to the organisers of the Expat Life Awards again for running awards that include categories outside of restaurants and bars. More thanks to everyone at Beijing Hikers, as it's their hard work that makes us successful. And another big thanks to everyone who has been out on a hike! 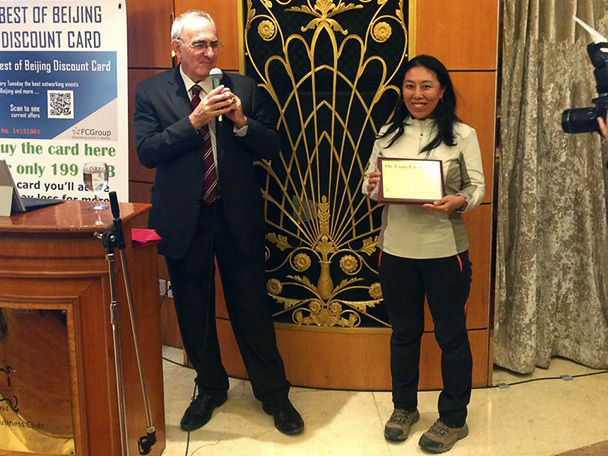 Huijie picking up the award at the ceremony. 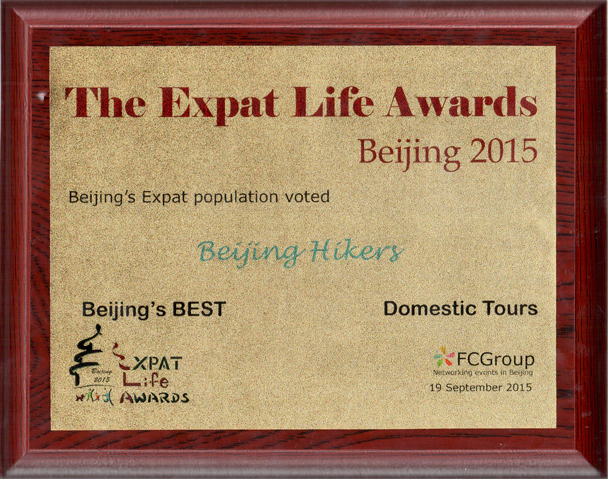 Beijing Hikers: voted Beijing's Best Domestic Tours in the 2015 Expat Life Awards.